MyMalls | Magical $10 Discount on Halloween Shipments with MyMalls! Magical $10 Discount on Halloween Shipments with MyMalls! 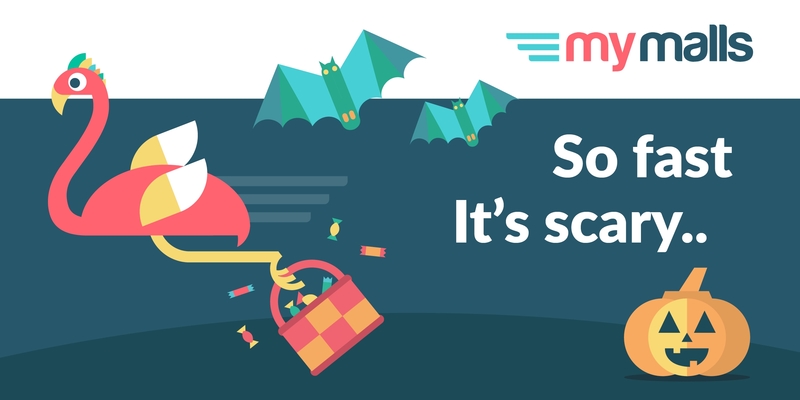 Shipping with MyMalls is so fast, it's scary..
At MyMalls, we're celebrating Halloween with an extra special treat for those who are shipping their Halloween articles with MyMalls from today until the end of the month! Make sure to use your personalized U.S. address at check-out because our fast and hassle free premium shipping service has you covered with a $10 discount off the usual cost! To enjoy this offer, there’s no need to enter a coupon code. The MyMalls wizards and witches will work their magic whilst calculating your shipping payment. Simply shop in the usual way throughout October 2018, and we’ll take care of the rest. Wishing all of our members a spookytastic Halloween!